This is a well-researched historical fiction that makes me want to look into the time period it was set in. It’s not the average YA novel and I love the characters. All the women are portrayed differently which was fun to compare. The romance aspect in this book was so refreshing. There was no instant connections and there was the “unconventional” love as well. I really enjoyed watching Lada grow as a character. How she deals with being a women in this time and thinks it’s ridiculous how she can’t do what all the men are doing yet she strives and works hard and accomplishes what they do anyways. You see her go through the change of girl to woman and I think that was executed perfectly. How she deals with these changes is so real and not how most YA novels would approach it. She’s such a strong character and I like how she doesn’t feel the need to give herself fully to a man. She’s so independent and strong and I can’t wait to see where the second novel takes us in her journey. How well researched it was. I highly recommend this for anyone who likes books about strong-willed female characters with combat abilities. Check out And I Darken when it is released June 28th, 2016! 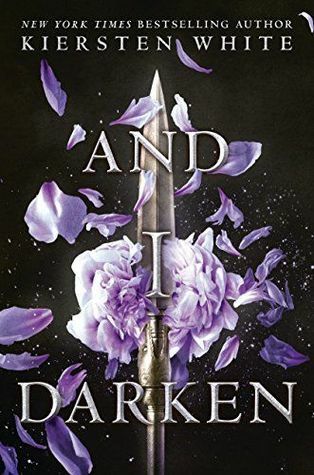 This entry was posted in and I darken, ARC, book review, netgalley. Bookmark the permalink.